We’re hiring. Here are our current job offerings. Join our team of caring automotive professionals. 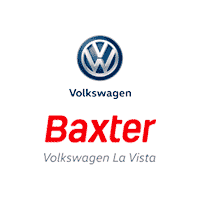 Baxter Volkswagen La Vista is one of 20 dealerships within Baxter Auto. We’re locally owned and family operated and have served the Omaha area for more than 60 years. Plus, you’ll have opportunities to grow in a fun and friendly atmosphere. We are located in Omaha, just off I-80 at the Harrison Street exit. View our Job Openings on Careerlink and apply online today. Interested in working with the Baxter Volkswagen La Vista team but don’t see an opening that fits your criteria? If a position opens up, a hiring manager will be in contact with you.